Stirling is the ideal location to begin any journey to explore the Highlands and the Trossachs of Scotland. Whether you are visiting on business, as a tourist, a short stay or a longer visit, Stirling has something for everyone. Stirling Castle is one of Scotland’s grandest castles due to its imposing position and impressive architecture. The Scenery and the history will take your breath away. At the heart of Scotland – it is a must for all visitors to Stirling. Set in the surroundings of Queen Elizabeth Forest Park you willfly 46 metres above the ground on two of Britain’s longest zip wires. Go Ape is located in the Trossachs National Park, it’s a mecca for Go Ape pilgrims, thrill seekers, adventure lovers and those that just want to get out and have some fun in Loch Lomond. 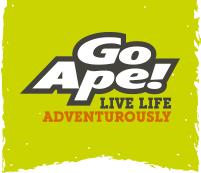 Visit the Go Ape Stirling Website to find out more. Blairdrummond Safari Park is a four star Tourist Attraction near Stirling. Opened in 1970, it spreads over 120 acres, the attractions include sea lion presentation, birds of prey, boat and foot safaris, Lemur Land, plus lots of fun fair attractions. Licensed bar, BBQ, restaurant and many other eating out options. Visit the Blair Drummond Safari Park website to find out more. For over 140 years, this world-famous landmark has fascinated visitors with its exhibits and displays, telling the story of Sir William Wallace. Make The National Wallace Monument a ‘high point’ of your visit to Stirling.  Visit the Wallace Monument Website. Take your place on the battlefield. Stand face-to-face with fearless medieval warriors. Witness two opposing kings – Robert the Bruce and Edward II – whose tactics in 1314 changed the path of Scotland’s history, forever. The Stirling Smith Art Gallery and Museum – formerly The Smith Institute – has played a very special part in the history of Stirling since its foundation in 1874. Established by the bequest of artist Thomas Stuart Smith (1815-1869) on land supplied by the Burgh of Stirling, it is an historic public-private partnership which has continued to the present day. Today, it functions as a gallery, museum and cultural centre for the Stirling area. 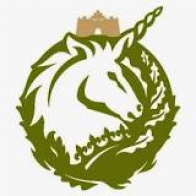 It is the repository for the historical artefacts and paintings of Stirlingshire, at the same time offering exhibition opportunities for contemporary artists. The Argyll and Sutherland Highlanders Museum traces over 200 years of one of Scotland’s elite military regiments – The Argyll and Sutherland Highlanders. Housed in Stirling Castle, in the city of Stirling, Scotland, visitors to the Museum can see a rich collection of material from all around the world. The Argyll and Sutherland Highlanders Museum.